as LOW GLYCAEMIC INDEX FOODS. They are the best choices in preventing a large rise in blood glucose levels. The low GI foods are more satisfying and do not cause the release of as much insulin as high GI foods do. Therefore low GI foods also prevent the huge drop in blood glucose which occurs after the initial rapid rise in blood glucose levels after eating high GI foods. High GI foods elicit a huge insulin response, the body’s way of coping with the sudden, sharp rise in blood glucose. Often this insulin response is too much, and blood glucose levels then rapidly fall to below the starting point. A condition known as hypoglycaemia. This swing from very high to very low blood glucose levels, due to hyperinsulinaemia, is now believed to be a contributing factor to most of the lifestyle diseases. These diseases are actually caused by high insulin levels in the blood and could be prevented to a large extent if the general population would consume low fat, low GI foods. 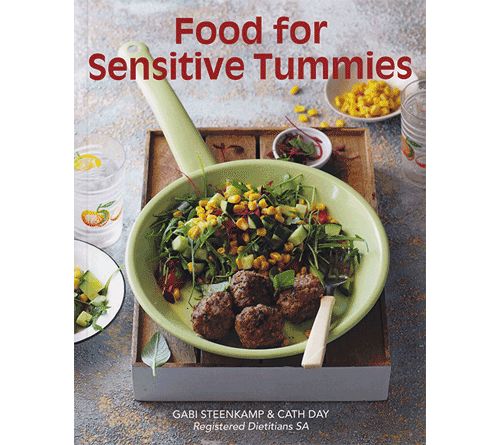 Researchers regard all foods with a GI of 62 or below as “safe”, even though the theoretical cut off point for a low GI food in South Africa is 54. 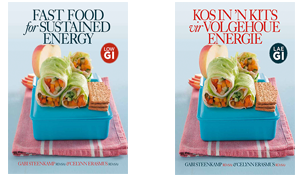 INTERMEDIATE GI FOODS are those with a GI between 55 and 70. They are the best choice in the following cases: after low intensity exercise of short duration, in the morning after exercising the previous night, or directly after moderate activity in diabetics. Foods with a GI higher than 70 are called HIGH GI FOODS. High GI foods are excellent for the prevention of fatigue and hypoglycaemia in regular sportsmen after doing moderate to high intensity exercise ( for example, sports drinks such as Powerade, Energade and others). High GI foods should, however, be avoided by diabetics under normal circumstances, but are completely safe for diabetics after strenuous exercise, lasting 2-3 hours. High GI foods are also useful during a LOW blood glucose “attack”. Any person wishing to have sustained energy during exercise, should not consume high GI foods before exercise or when they are inactive, but rather have low GI foods before exercise and during periods of inactivity. Below is a sample table of the South African low fat foods that have been tested for their GI values. The list is by no means complete as GI testing only started in South Africa in 1998, and foods are being tested at this very moment.